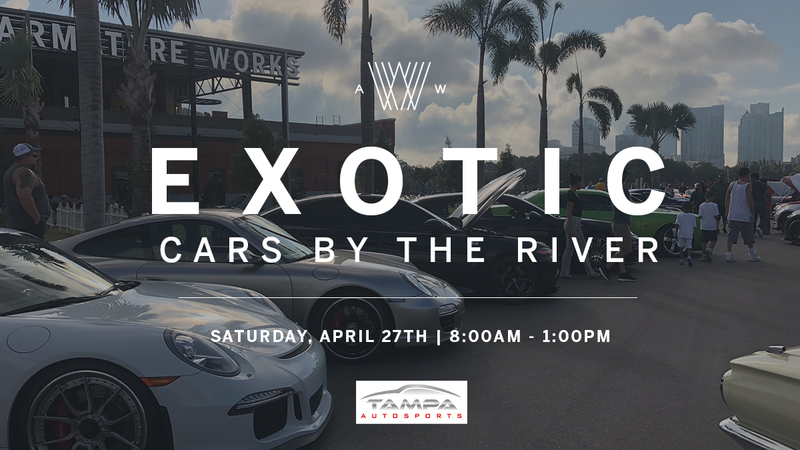 In partnership with Tampa Autosports, we are hosting an exotic and classic car show on Saturday, April 27th, from 8am – 1pm. Come see cars old and new from all over while enjoying the atmosphere and food and drink from Heights Public Market. Interested in showcasing your car? Email Evan at evan@tampaautosports.com for preferred parking and drive in times.